Safety Scrape Logo Mat is an all round, all weather mat that is suitable for most areas where you want to dry feet and still have a professional impression. Made from 100% Natural Rubber this matting is a great alternative to carpet style logos. 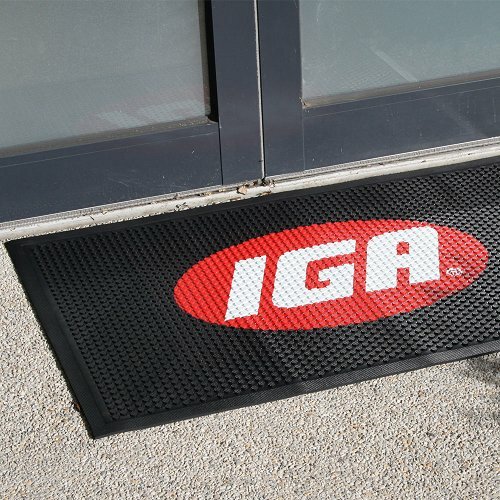 Tough and durable, this mat will hold dirt and spills whilst continuing to display a vibrant logo. Suited to both full colour digital print and spot colour artwork, the Safety Scrape Logo Scraper Mat is both functional and durable.